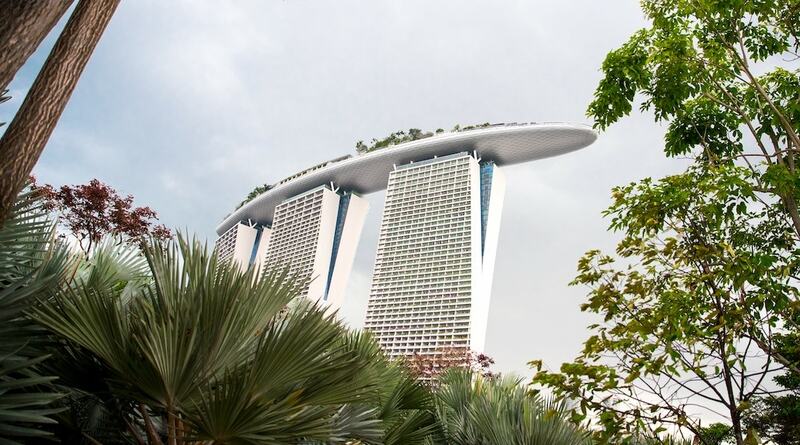 For those traveling around Southeast Asia, you probably have Manila on your list of Philippine destinations to visit, but may also be worried about spending too much time and money looking for noteworthy places to see and photograph. Fortunately, there are many tourist spots that are easily accessible to those who are eager to explore in and around Manila for a relaxing affair with nature or to simply immerse themselves in both modern and historical Filipino culture. So whether you’re an adventurous traveler or a curious local, you’ll find places that you can check out anytime—no additional flights needed and cars optional. 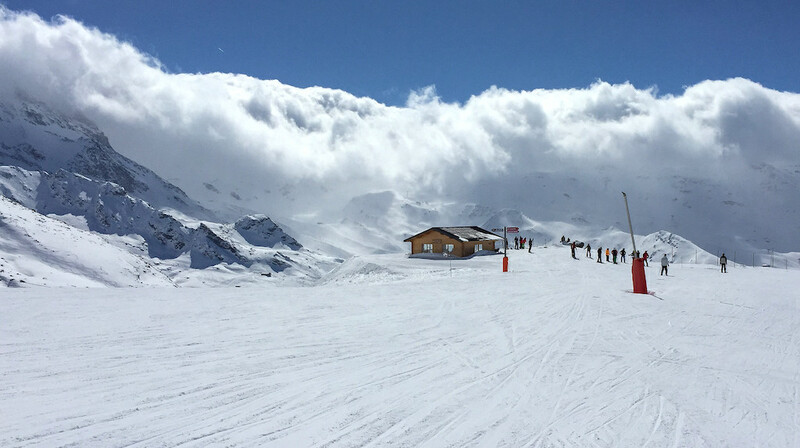 Pack your bags, grab your camera and read on to find your next destination! Traveling around Metro Manila can be a challenge, even for the locals. Gridlock traffic is fairly common, and rush hour traffic rivals that of Bangkok and Jakarta. To further complicate the situation, the available systems of mass transit–the metro, light rail, buses, jeepneys, and compact motorized tricycles (known colloquially as “trikes”)–aren’t equipped to handle the sheer volume of commuters each day. Despite these challenges, getting around without a car is possible. 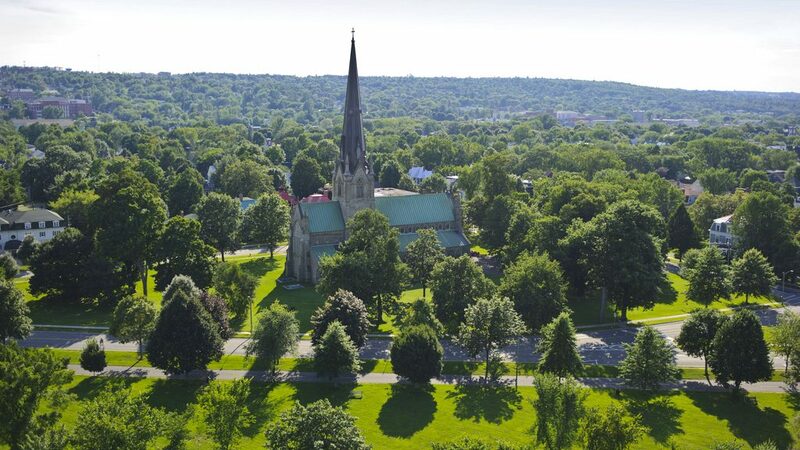 If you’re intrepid enough to navigate your way through the city’s loosely connected transportation system, you’ll be able to visit some gems. 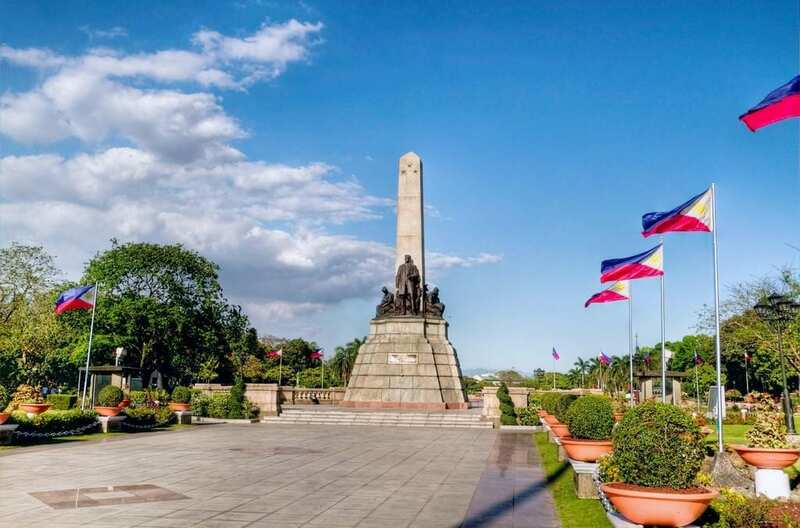 Rizal Park or Luneta Park is a top destination for both tourists and local school field trips. This famous landmark features the monument of the Philippine National Hero, Dr. Jose Rizal, as well as vast greenery, the National Library and Museum, and the Relief Map of the Philippines. Rizal Park is accessible by both jeepney and train. If you’re in Manila, take the LRT-1 Yellow Line headed for Taft and get down at United Nations (UN) Avenue Station. This station is along the periphery of Rizal Park. If you’re taking a jeepney, hail one along Rizal Avenue that’s bound for Taft Avenue and ask to be dropped at TM Kalaw, which is a boundary street of Rizal Park. 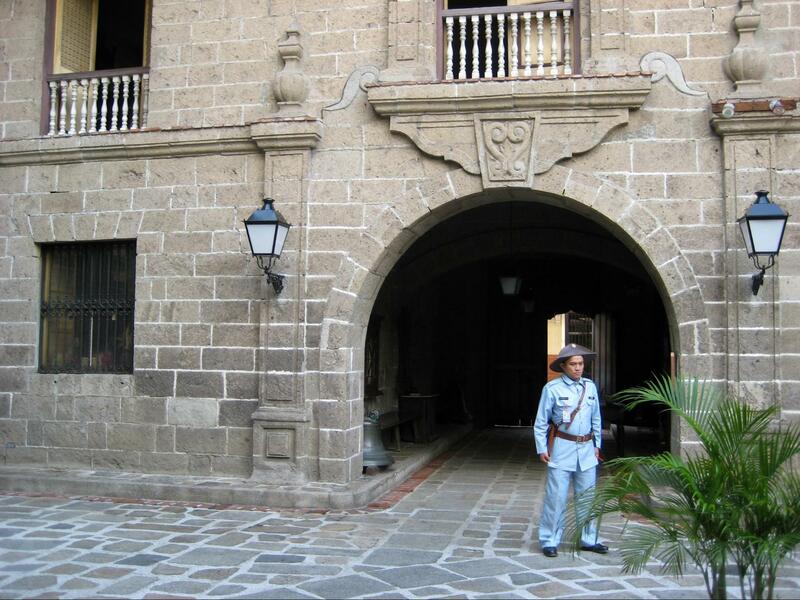 Known as “The Walled City,” Intramuros was home to the Spaniards during Spanish Colonial times until the late 1800s. Today, it’s one of the most popular tourist destinations in Manila, and is known for its historical buildings, massive parks and gardens, and cultural museums and exhibits. You can easily get here by public land transportation (or by walking from Rizal Park), and get around Intramuros on a kalesa (horse carriage) or electric tricycle. 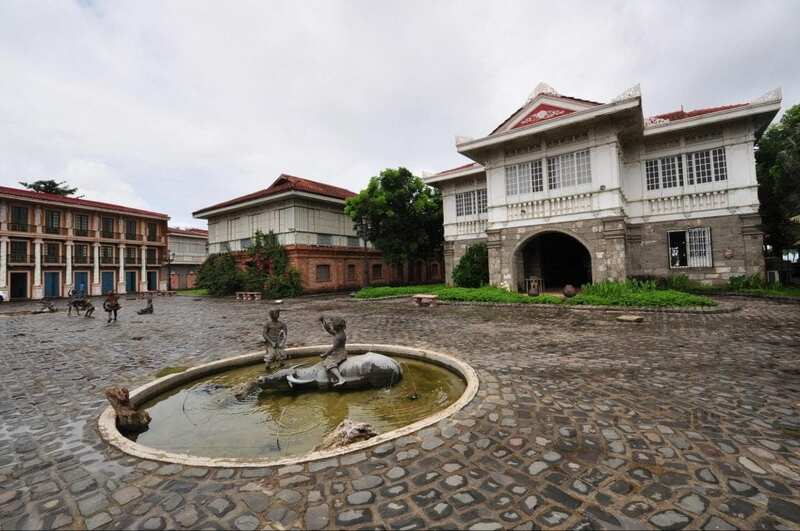 Make sure you check out the Rizal Shrine Museum, Fort Santiago, Manila Cathedral, San Agustin Church, and Casa Manila. 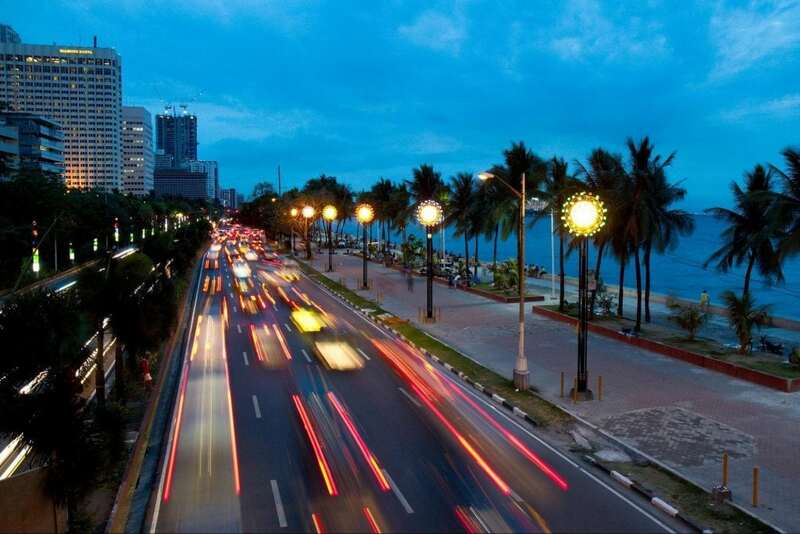 This seaside promenade, located along the stretch of Roxas Boulevard in Manila, has been a popular nighttime destination for generations. It overlooks Manila Bay and is filled with open-air cafes, making it the perfect spot for enjoying a fantastic view of the sunset. You can also watch live music bands, local artists, acrobatics, and mimes during your visit. Baywalk is easily accessible by train (including LRT-1, LRT-2, and MRT-3) and jeepney. If you’re taking the LRT-1 from north stations like Roosevelt and Monumento, you can get off at Carriedo Station, then ride a jeepney in front of Santa Cruz Church bound for Baclaran Mabini or Vito Cruz Mabini. Ask the driver to drop you off at Rajah Sulayman. From here you can walk to Roxas Boulevard. 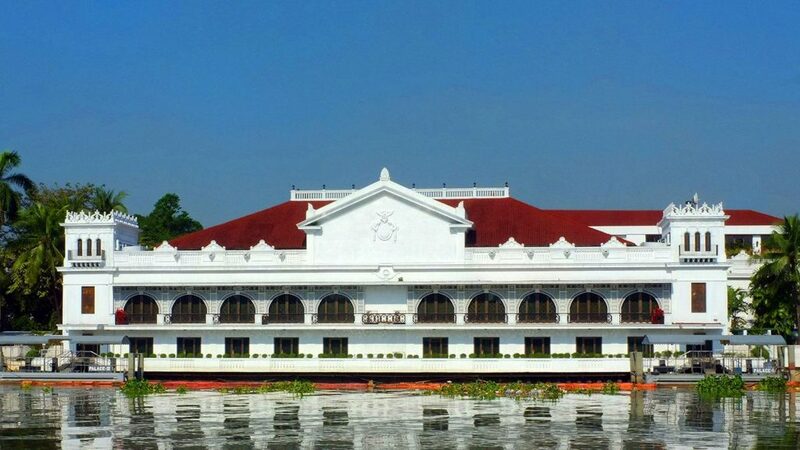 Malacañang Palace is the official residence and principal office of the Philippine President. Located in the heart of Manila, the Palace maintains its Spanish and Neoclassical architectural style to preserve the country’s heritage. The current President doesn’t reside in the Palace, but you can visit and learn more about the country and its government by booking a Malacanang Palace tour, which includes a trip to the Presidential Museum and Library. For just a quarter dollar, you can take jeeps to the Palace and get a taste of the country’s political history. Nicknamed “MOA” by locals, the SM Mall of Asia in Pasay City is growing increasingly popular as Asia’s Tourist Destination Mall and is currently the 11th largest in the world (while the 4th and 7th are affiliated branches just outside of Manila). Aside from being a massive shopping area, it’s an all-around entertainment area where you can watch a movie in one of the world’s biggest IMAX 3D screens and go ice skating in the mall’s Olympic-sized rink. Outside, you can watch concerts in its open parking grounds (aside from the nearby SM MOA Arena), and enjoy the amazing seaside view of the sunset along the boulevard right outside the busy bay side of the complex. You’ll also find amusement rides, restaurants, bars, and 4-star hotels in the area. 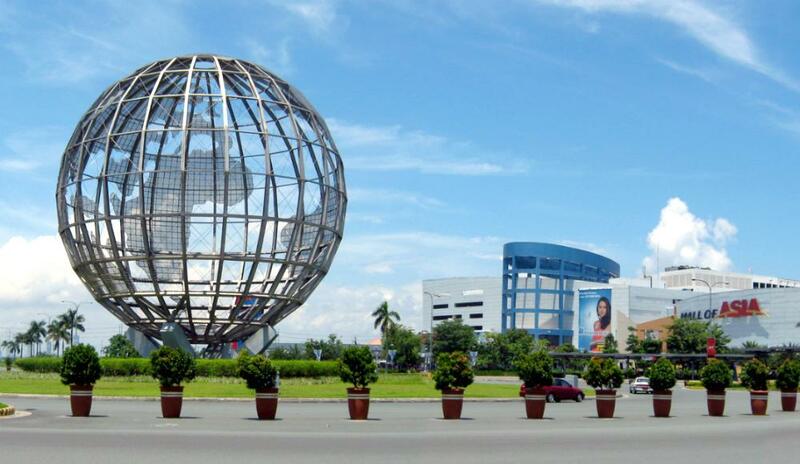 MOA is highly accessible from many parts of Metro Manila. If you’re coming from Makati, Mandaluyong, or Pasig, you can take the MRT-3, buses, and jeepneys to the shopping complex. If your point of origin is Manila, you can take the LRT-1, jeepneys, or shuttle service to MOA. 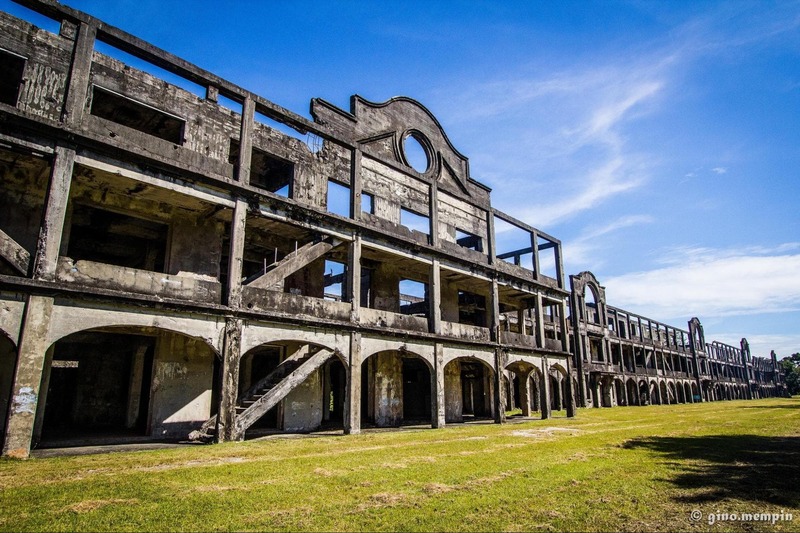 Corregidor Island is notable for being the stage for one of the most celebrated battles of World War II. It was here that the Filipino and American forces fought invading Japanese soldiers. Take a one-hour ferry tour from Manila Bay and spend a full day exploring and taking photographs of barrack ruins, weapons and tanks, hideout bunkers, secret passageways, historical tunnels, and more. Make sure to check out the Malinta Tunnel lights and sound show—and bring your film camera for possible ghost images! Bikers would be glad to know that Corregidor Island is a great destination for bikers. You can rent Bamboo Bikes for less than US$6 an hour. For night rides, bring your own bike lights and flashlights, as most streets don’t have streetlights. 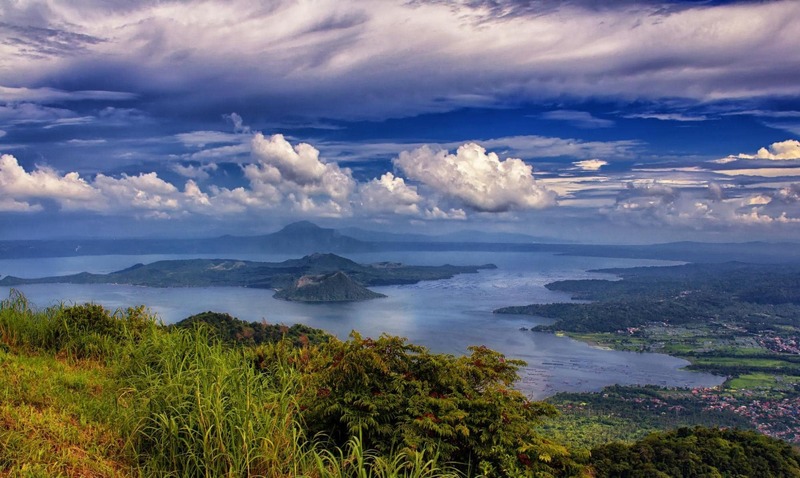 Tagaytay City in Cavite is one of the most popular (and nearest!) tourist destinations in the Philippines. 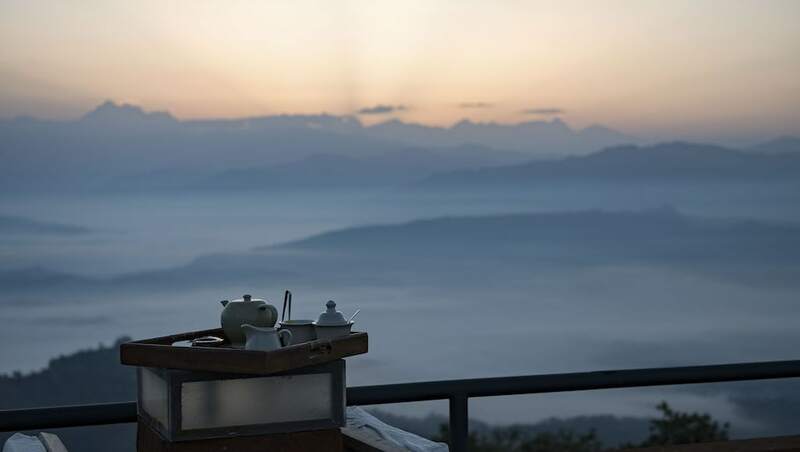 It’s loved by both locals and tourists for its cool climate, long stretch of restaurants and parks along the mountain ridge (like the Tagaytay Picnic Grove), and of course, the famous Taal Volcano. After commuting to Tagaytay by bus or public vans, you can choose to go on a trek up the peak of the volcano or simply enjoy the view of the crater lake while you enjoy fresh local cuisine and do some food photography in restaurants with stunning overlooking views. Batangas is the nearest province that you can go to if you want to escape to the beach. Popular municipalities, such as Matabungkay, Calatagan, Lian, Lobo, and Nasugbu, are filled with affordable beach resorts. Located near Tagaytay, it only takes a two to three hours by bus ride south of Manila to find the long stretch of Batangas’ sandy shores. A round trip can cost you a measly 1000 in Philippine pesos or US$50. Seriously! Bataan is another nearby province that features a couple of historical tourist spots, namely the Mount Samat Shrine in the town of Pilar, which features a sizable cross and museum that memorializes fallen WWII soldiers during the fall of Bataan, and Bataan Death March markers in the municipalities of Bagac and Mariveles. 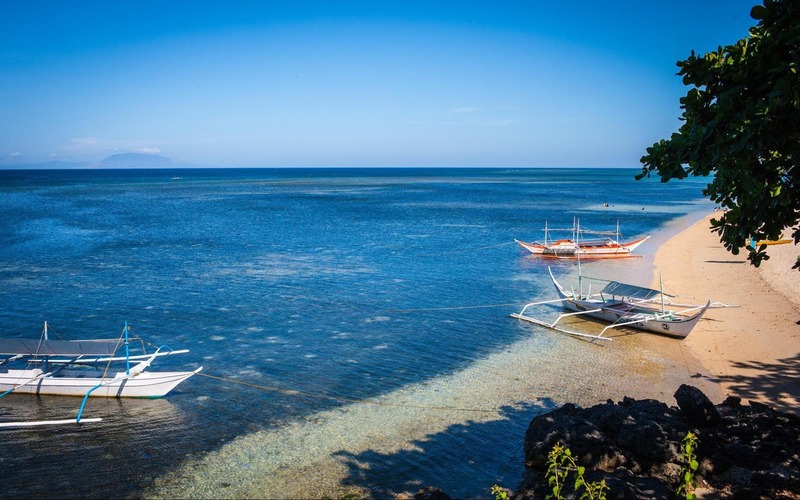 There are also recreational spots like the Pawikan (Marine Turtle) Conservation Center and the Zoobic Safari in Morong, as well as the Las Casas Filipinas de Acuzar, a unique beach resort in Bagac that showcases Filipino heritage and culture. From Manila, the most straightforward way to get to Bataan is via bus. Travel time is roughly three hours and the fare is about US$4 per person. A faster route would be to take the Manila-Bataan Ferry Boat from Manila to Orion in Bataan, which cuts down travel time to one hour. The ferry terminals are located at Seaside Terminal MOA and Port Capinpin in Orion. If you don’t mind going on a four-hour bus ride, head up north to the city of Baguio, also known as the “City of Pines.” Here, you can find native Igorots (tribesmen), visit religious sites, check out the historical Camp John Hay, go horseback riding in huge nature parks (like Mines View Park and Burnham Park), buy some delicious pasalubong (take-home treats) from the Good Shepherd Convent, and more. And with tons of affordable transient homes scattered around the city, it’s the perfect escape from the tropical heat. 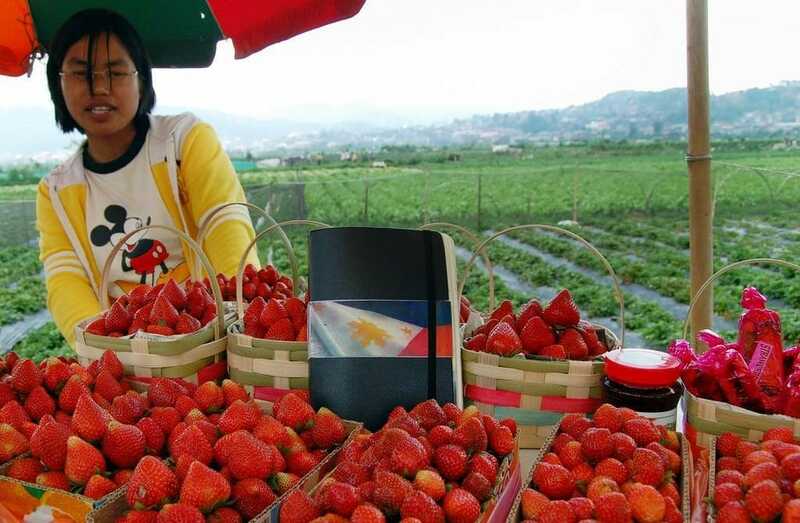 Also consider taking a side trip to the nearby province of Benguet for its Strawberry Farm and Mount Pulag, the highest peak in Luzon.